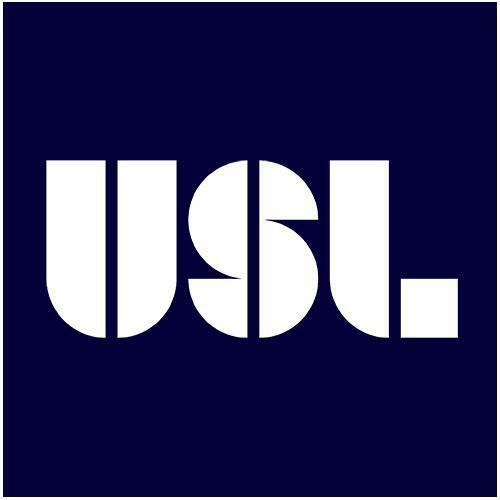 Soccer fans who like inexpensive tacos and beer and hungry, young players willing to play their hearts out will be glad to hear the United Soccer Leagues released its 2017 schedule today. The Galaxy II schedule is here. 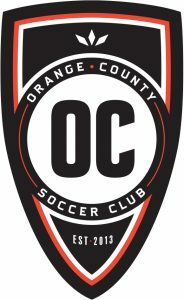 The Orange County SC schedule is here. 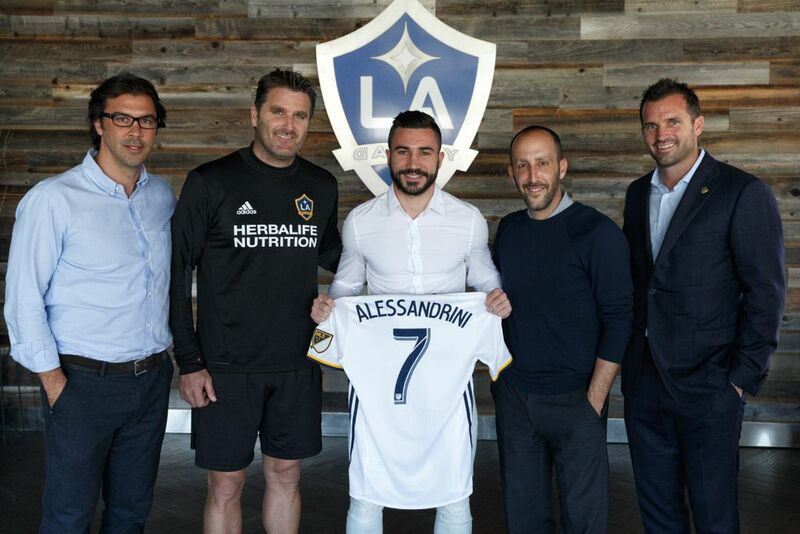 Galaxy get their guy: The Galaxy brain trust — Jovan Kirovski, Curt Onalfo, Pete Vagenas and Chris Klein — welcome French midfielder Romain Alessandrini to the club. (Photo courtesy LA Gakaxy). I’m not sure the Galaxy have ever introduced a designated player with less fanfare, but the signing of French midfielder Romain Alessandrini was announced today with no press conference or media availability, which might have some relation to how many butts in seats a journeyman French midfielder who spent half his career in the lower leagues can realistically be expected to attract. Read more from Staff Writer Damian Calhoun here. A 2013 FIFA article had more on Alessandrini. Galaxy forward Gyasi Zardes and goalkeeper Brian Rowe were among the six players released back to their clubs from the U.S. Men’s National Team camp. Zardes, who had missed the previous two days of training, has a “minor” right knee contusion and will not play in Sunday’s friendly against Serbia in San Diego or Jamaica, Feb. 3. Taylor Kemp (D.C. United), Keegan Rosenberry (Philadelphia), Will Trapp (Columbus) and Chris Wondolowski (San Jose) were the other players sent back to their clubs, leaving the U.S. roster at 23. 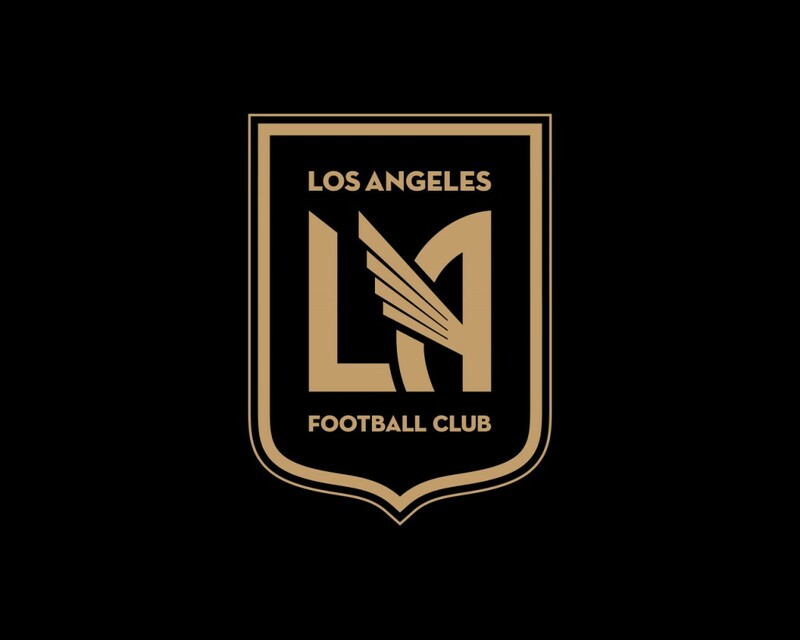 Los Angeles Football Club announced the hiring of Will Assistant General Manager and Vice President of Soccer Operations. Kuntz will report to General Manager and Executive Vice President of Soccer Operations John Thorrington . Kuntz was the Director of Players Relations for Major League Soccer and before that he worked 10 years in the New York Yankees organization. In his new role, Kuntz will work closely with the team’s executives to bring exciting and promising coaches and players to LAFC that will bring quality to the pitch and represent the community and the club’s growing fan base. LAFC will join Major League Soccer for the 2018 season and play at the Banc of California Stadium. 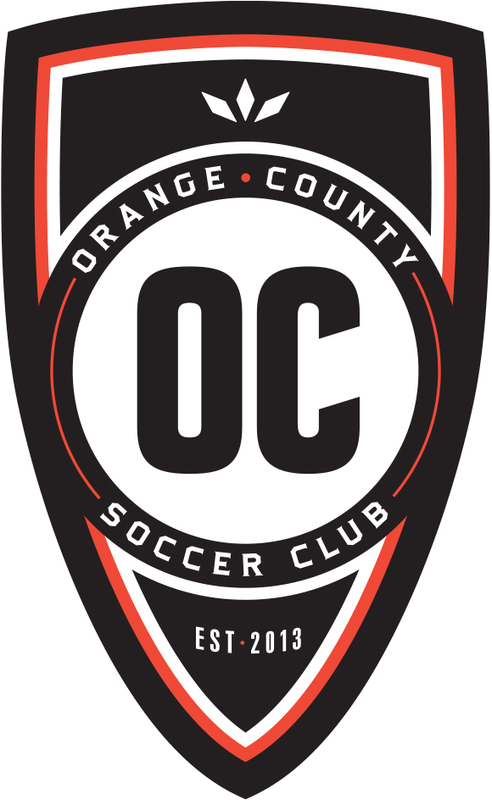 The club recently partnered with The Orange County Soccer Club in USL to expand player development. Last month, the demolition of the Sports Arena was completed and the construction of LAFC’s new Banc of California Stadium began. The stadium is a 22,000-seat, soccer-specific stadium which will bring more than $350 million in private investment to South Los Angeles. Santos Laguna defender Jorge Villafana has been called into the U.S. Men’s National Team camp. Villafana, 27, played with Portland in MLS and made 26 appearances for Santos Laguna at the start of 2016. Villafana, originally from Anaheim, is the inaugural winner of Sueno MLS, a reality show that led to a tryout with MLS. He was eventually signed to a professional contract with Chivas USA in 2007. Villafana, then Jorge Flores, made 86 appearances for Chivas USA and then 52 with Portland before moving to Mexico. announced three signings last week. OCSC signed a 24-year-old winger Jerry Van Ewjik, who spent the last three seasons playing for De Graafschap and Go Ahead Eagles in the Dutch Eredivisie and Eerste Divisie. He scored 24 goals with nine assists. Also returning is veteran midfielder Richard Chaplow. Chaplows joined the Blues in the second half of last year. Galaxy fan favorite Alan Gordon confirmed in an Instagram post that he’s signing with the Colorado Rapids. Gordon had two stints with the Galaxy. First from 2005-2010 and from 2014-2016. He scored 29 goals with the club. Note: Colorado confirmed the signing Monday morning.